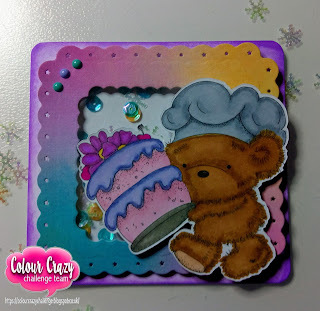 The new challenge over on THE COLOUR CRAZY CHALLENGE is ‘Anything Goes’! There is a wonderful prize on offer from our sponder Di Digi, so head across to the THE BLOG for details. 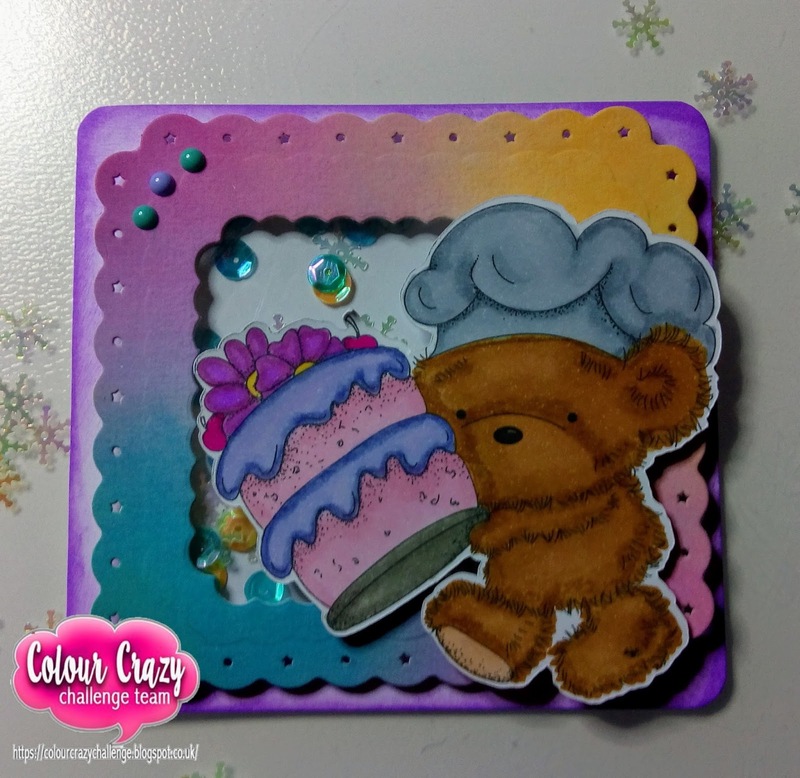 For my card I have used the image Lets Eat Teds Cake by Di's Digi. I coloured the image in with Copic markers.